Every so often I receive comments and emails about weight loss and any advice that I can provide. I thought I’d write a post on my thoughts and opinions on weight loss to share with you all! First and foremost, I have never had (or chosen) to lose a significant amount of weight. I’m content with my body and I don’t desire to be a size 2, 4 or smaller. It’s not worth it to me. I enjoy having a womanly and strong figure with curves and muscles, so if you’re looking for me to tell you how to be a stick figure, this is not the place! I’m not saying these smaller sizes are bad in any way, as some women are built petite and that is great! We should all be happy with ourselves. My point is that I am not advocating weight loss for those of you already at an appropriate weight for your body. This is crucial. Diets don’t work long term. Lifestyles do. When I was prepping for a figure competition I was on a diet. I followed a meal plan that was calorie and portion controlled. Simple science of weight loss is that you have to consume less calories to lose weight. My diet was around 1700 calories and I lost about a pound a week (and I was also exercising 6 days a week, sometimes 2x a day). I found it simple to follow a diet. Being on a diet is the easy part and anyone can do it. Maintaining your loss is where the hard work comes in and it never stops! You have to continue to be aware of your body. But I hated the way I was eating during my prep. It was high protein and I am not a fan of that. I just don’t enjoy eating that much protein! I love carbs! So I knew that when my diet was over, I would go back to how I was previously eating. And that meant I would gain back the weight I lost. And I did. I couldn’t keep up that diet as a lifestyle and therefore I fell back to my old habits and the weight came back (I was not overweight before though and was fine with gaining that weight back). It’s important that when you do decide you want to lose weight that you do it in a way that is smart. When you lose weight you get smaller. Therefore your calorie requirements are going to change. You will have to eat less than your former body weight. That’s why it’s important to make changes and habits that you can stick with for life to maintain your new body. This is weight loss 101. You have to consume less calories. You can do this through eating less, moving more, or a combination of both. Most people choose to do a combination of eating less and working out more. Keep in mind that when dieting, it’s important to maintain lean muscle mass. 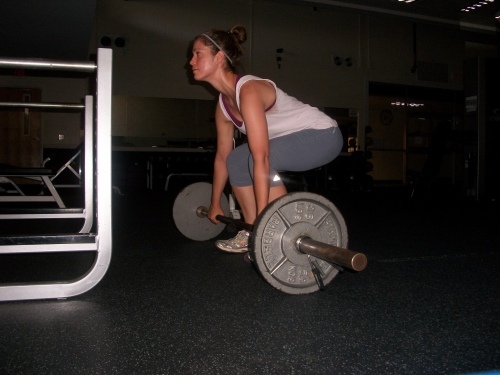 You should continue to lift weights to maintain your current lean mass or start lifting weights if you don’t do it. You don’t want to lose your muscle for the sake of seeing a number on the scale get lower! Plus, losing muscle mass means lowering your metabolism and no one wants that. Pump that iron! When dieting you are most likely going to feel hungry, at least in the beginning until your body adapts. 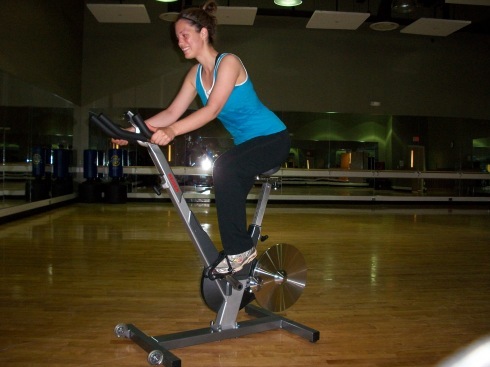 Doing too much cardio can increase your hunger and can also sacrifice lean muscle mass. I recommend not going crazy with the cardio when dieting. Keep it moderate to control your appetite and make it easier on yourself. When it comes to calories, some people find it helpful to keep a food diary and track calories. I am not one of those people. I get irritated when I feel I have to track my food. Therefore if I ever wanted to lose weight, I would not count calories. However, others find it helpful to track and actually enjoy doing so. It becomes like a little science project for your body. Do what works for you! I personally find the “intuitive” method more my style. Here is a great book on this to get more in depth with this style of eating. It’s all about listening to your body’s hunger signals and not making any foods ‘off limits’. And when you are trying to make your diet changes last forever, you need to eat what you enjoy. Limiting certain foods only makes them more appealing. The number on the scale is not the most important thing while dieting. Take measurements or have a pair of pants you want to fit into. Stop putting so much energy into a number. Because that is all it is…a NUMBER. Unless you know what that number is made up of (fat and lean mass) then it’s useless. Get your body fat assessed to see what your body fat % is. 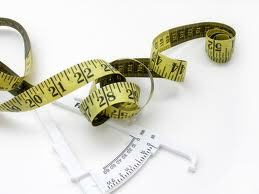 Continually monitor that as well as measurements to assess weight loss. Now, the scale is an indicator of weight loss obviously, I am not saying it’s not, it’s just not the only thing. Stop the number obsession! Weight loss should be slow and steady. Be patient with yourself and take it one day at a time or even on meal at a time. I believe this is the hardest part of the lifestyle. Maintaining. I’ve seen countless friends and even my own parents lose a significant amount of weight only to gain it all back (sometimes even more) because they dieted. The diet they chose to do was too harsh and unrealistic to keep up long term. Eventually old habits come back and the weight comes back. Your happy weight is a weight that should be easy to maintain for YOU. Saying that you want to be 120lbs is useless if that weight is not meant for your body. Be honest with yourself and your goals. When at a happy weight you shouldn’t go to bed hungry, you shouldn’t feel restricted with eating and have food-consumed thoughts, and you shouldn’t need to exercise 2+ hours a day to maintain it. At least these are my opinions on what a happy weight is and how I personally feel day to day. What the heck is normal eating!? I think that the definition of normal eating is completely skewed. And words like “diet” and “restriction” have become the norm. We always want to be leaner, fitter, and thinner. We want our bones to show or our 6-pack to be visible. So called “health” magazines seem to preach having “willpower” and eliminating “bad” foods from our diet. Or they are coming up with strategies to eat less and restrict. Normal eating has become lost and I don’t think many of us know what it is anymore. I spent some time googling the internet for some possible answers and stumbled upon a few good explanations of what others think normal eating is. I eat foods that make me feel good. I like a steak every now and then. A pizza is a favorite treat. I love colorful salads. Risotto is my idea of heaven. These things make me feel good, so I eat them. Sugar makes me depressed and wacks me out. Fried eggs give me the willies. Too many fake foods—think lots of processing and packaging—make me feel icky. So I usually abstain. I eat what I really want. What I want to eat today may be different tomorrow. What I want in the winter may be different than what I crave in the summer. How nice that I can choose; that I don’t have to eat the same four things from a “good foods” list over and over again. Right now I’m in a raw fruit and vegetable phase, stemming from the heat wave we’re currently experiencing. But as the weather cools I crave warm, cooked vegetables and hearty soups. A few weeks ago, when my baby was going through a growth spurt (I’m a nursing mother), I had a hankering for nuts and nut butter. I followed my craving, got a spoon, and dove into the almond butter, without any guilt, shame, remorse or thoughts of calories. I enjoy my food. I love food. I always have. And I’ve come to glory in that, rather than feel ashamed by it. Who started the lie, anyway, that women shouldn’t have an appetite? I’ve always had a hearty appetite, especially when I’m exercising regularly and nursing, as I am now. I have no qualms about getting a second helping, rather than undereating to be socially acceptable. 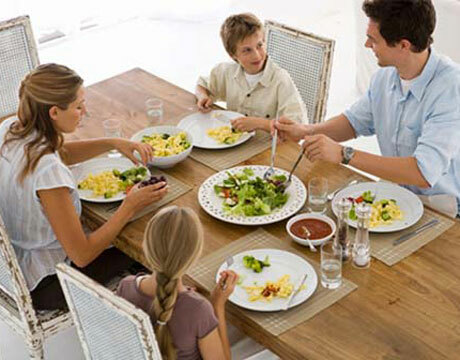 “Normal eating is going to the table hungry and eating until you are satisfied. It is being able to choose food you like and eat it and truly get enough of it—not just stop eating because you think you should. Not going on an all out- binge because I “blew it” by eating too many cookies or ice cream. It’s being able to stop and move on. What is YOUR definition of normal eating? I liked hearing everyone’s responses to my last post on how skinny people stay skinny. It’s also important to not get so caught up with being a number on the scale. We ALL carry our weight quite differently, so while someone may be perfectly fine at one weight, another person at the same height may look sickly. Today I want to discuss the Weight Set Point theory. This information is adapted from the following article. The set point theory was introduced by a group of researchers in 1982. The basic premise of the theory is that the body has a built in weight regulating mechanism, largely genetically determined, that will tend to keep your weight in a physiologically established comfortable range. Initially, for most, body weight will come off steadily and easily when following a reduced calorie diet and exercise program. However, for those of us with genetically determined set points beyond our desired weight goal, losing beyond this weight plateau can be quite challenging. 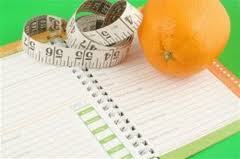 Following a weight loss diet for a period of time can also trigger the body to cling to its set point. After dieting, the body’s metabolism can decrease, particularly when a dieter chooses the “no exercise” route. Once the body reaches this point, the same amount of calories that initially led to weight loss, can now lead to weight maintenance and/or gain. Much of this has to do with the fact that the now smaller body size (due to weight loss) requires less calories per day to maintain. This other article talks more about genetics and how that can play a role in one’s set point. Some scientific data and logical conclusions made by scientists do point to the fact that we have a genetically and biologically predetermined weight that we are supposed to carry, and this set weight depends on a number of factors, number one being good old mom and dad – AKA genetics. It has been proven by shear observation, and medical evidence that most individuals are about 65% likely to be in the same weight range as their family members are. Are there anomolies to this fact? Of course, there always are, but it’s a pretty good chance that the apple will not fall far from the tree, weight wise. It is speculated by the scientific community that every one of us is subject to this genetically predetermined weight range, which is said to be dependent on the number of fat cells a person has by the end of their first year of life. Of course, how much we eat, the fat content of our diet , the amount of calories we take in regularly and our level of physical activity all impact how large those fat cells will get, and thus how “large” we will be, but we do pretty much start life off with this predetermined amount of fat cells. The following information I have adapted from this article. 1. 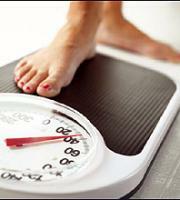 Identify a weight you have easily maintained for six months or longer. This is probably your body weight set point. The set point theory does not apply to your weight during a weight loss or weight gain effort. Your body weight set point is an effortless weight maintenance level. Knowing what this set point level is, and the lifestyle that goes along with that effortless management, is the first step to resetting your body weight set point. 2. Identify a weight loss/weight gain strategy you can adopt as a new lifestyle. If the program you embark on to gain or lose weight is only a temporary one that takes maximum effort on your part to maintain, then after a momentary enjoyment of your success, you will find that your body quickly returns to its previous weight, with a bonus: The problem you set out to fix gets even bigger. The set point theory for body weight explains the yo-yo dieting problem: When your body creates the triggers that get you back to your body weight set point, it is as if it also creates a savings bank to ensure that the next time you try that crazy weight loss/weight gain again, it has that extra gain or loss built in to balance that out. 3. Set the start date for your new lifestyle and start living it. If your new life includes regular exercise, then exercise regularly. If it includes meals with higher protein content to build and maintain muscle, then make sure you find ways to get that protein in regularly. Whatever your strategy for achieving your new preferred weight, it must be something you can easily maintain if you are to reset your body weight set point. 4. Create accountability systems until the new lifestyle becomes effortless. 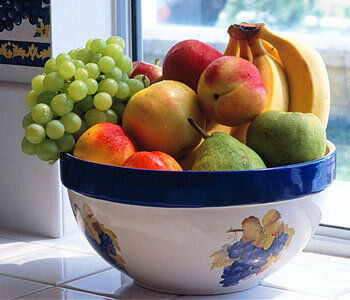 If you are on Weight Watchers or a similarly structured program, the accountability is already professionally provided. The Weight Watchers model is particularly well organized because once you successfully achieve your new, healthier weight, their lifetime membership offers free access to that accountability to help you maintain your new weight. At that point, if you keep up with the accountability of the program, it is very likely that you will have successfully reset your body weight set point. 5. Resetting your body weight set point is an accomplishment that only a small percentage of people successfully achieve. Pat yourself on the back for proving that personal will can overcome the body’s natural tendencies. All of those strategies make sense. For example, my set point weight is 140lbs. It’s VERY hard for me to gain or lose weight and my lifestyle is effortless in maintaining this weight. Any time I have tried to lose weight, I’ve done so stupidly with a diet that was too strict and rigid. Each time I would stop dieting, my weight would come right back. For me to lose weight I would have to make adjustments to my lifestyle that I could LIVE with long term to achieve a new body weight. Make sense? Take bodybuilders or fitness competitors as an example. They diet for 12 weeks with a strict regimen of too few calories and too much exercise. They are of course able to lose weight, but as soon as they stop the diet the weight comes right back, and usually pretty quickly. Now let’s take someone who wants to lose 20lbs. They start making small adjustments in their diet and exercise. They are not too strict, but at the same time, they are forming NEW habits to help them with this new lifestyle. They probably lose the weight at a slow pace, which is smart. The diet doesn’t all of a sudden “end” after a certain amount of time. They don’t go back to old habits of their old self. They are now living a different type of lifestyle as their lighter self. Do you believe in the set point theory? Have you ever CHANGED your own set point by gaining weight or losing weight? Are you built like either of your parents? What goes into a thought process of someone who stays skinny throughout their lifetime? Or are YOU someone who is skinny? Here are some questions I found that I would like you to answer on how YOU stay skinny. This could be helpful to those trying to lose weight and make lifestyle changes or for those trying to maintain a new weight loss. If you are not at your goal weight, that is OK! Please share what IS working for you and your weight loss goals. First, if you don’t mind sharing your stats (height, weight) and how long you’ve been at that weight. And it’s OK if you don’t want to share! (also realize that we ALL carry weight differently). 1.) What’s your typical breakfast? 2.) What’s your typical lunch? 3.) What are some typical dinners? 4.) Do you eat differently on the weekends than you do on weekdays? 5.) Do you snack? If so, how often and on what? 6.) Do you eat differently on holidays? How so? 7.) If you’ve eaten a bigger than usual meal, do you adjust your next meals at all? 8.) What do you do if you find that you’ve put on a few pounds? 9.) Do you exercise? If so, how & how often? 10.) Do you use artificial sweeteners? In what situations & how often? 11.) What beverages do you drink? Do you drink diet versions of soft drinks? I consider myself skinny, but not overly skinny. I feel I look average. I’m a size 6 and I am 5’7 and 140lbs (and I fluctuate a good 3-5lbs on any given day, which is normal for our bodies to do so). I’ve been this weight since I was 20 (I am 25 now). In high school I weighed a bit less, around 135lbs. 1) What’s your typical breakfast? I have ALWAYS been a breakfast eater. My parents taught me that it was important to eat a good breakfast every day. I high school my breakfast of choice was special K with strawberries and milk. Now-a-days, it’s not much different, I love my cereal and milk! Sometimes I’ll have oatmeal, fruit, and eggs or an omelet with veggies, cheese and toast. Bottom line: I almost always eat breakfast. 2) What’s your typical lunch? I usually have a sandwich, yogurt and fruit. Or sometimes I have leftovers from dinner. My lunches are rarely huge and overly filling, as that makes me tired. 3) What are some typical dinners? Vegetable stir fry with tofu or chicken, some sort of casserole, tacos or enchiladas, pizza, or breakfast for dinner. I usually cook my meals 5 or 6 days out of the week. 4) Do you eat differently on the weekends than you do on weekdays? Yes, I do. I tend to have bigger meals and not as many snacks. I honestly feel like I eat less on weekends, I just don’t have as much of a schedule as I do during the work week. I also enjoy going out to eat on weekends and splurging on higher calorie foods. 5) Do you snack? If so, how often and on what? 6) Do you eat differently on holidays? How so? Yes, I eat way bigger meals and way more treats! But I still remain active and keep up with my workouts. 7) If you’ve eaten a bigger than usual meal, do you adjust your next meals at all? I think I naturally do sometimes. If it’s Thanksgiving and I ate a ton all day, the next day I may find that my appetite is not as big. And sometimes I’m just as hungry! I just go with it. My activity level remains the same. I really don’t ever put on a few pounds above my norm, but if I did, I’d try and find out where I may be eating more than I need to. 9) Do you exercise? If so, how & how often? Yes, 5x a week for at least 30 minutes, doing a variety of cardio and weights. I love to break a sweat most days! 10) Do you use artificial sweeteners? In what situations & how often? Rarely, they make me bloated. 11) What beverages do you drink? Do you drink diet versions of soft drinks? Just water and coffee unless I am being social on weekends. I do drink beer, wine, and mixed drinks. I actually hate juice and soda (regular and diet). I do most of these. The main thing for me is keeping track of my weight, not skipping meals (and planning meals! ), exercising regularly, and not surrounding myself with temptations (I don’t buy many treats to keep in the house). However, I do allow myself to go out and buy something if I am really craving it, like ice cream! Do you NOT do any of these? I’m not a fidgeter. My boyfriend Andy on the other hand, fidgets a lot and he has always been naturally thin!